The last time an American challenged for the world chess championship it was seen as an almighty clash of civilisations: west versus east, capitalism against communism, a cold war by proxy fought over 64 squares between Bobby Fischer and the Soviet Boris Spassky. Chess has never been as cool or relevant since that epic contest in 1972. 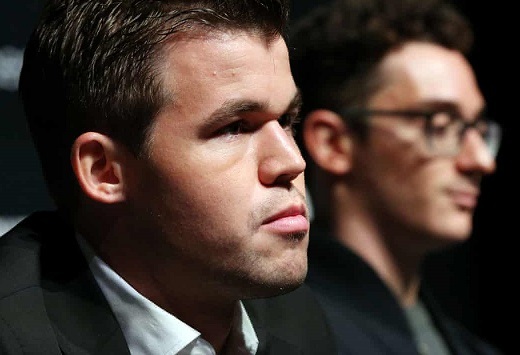 But at the launch of the 2018 world championship match between the Norwegian champion, Magnus Carlsen, and his US challenger, Fabiano Caruana – which begins in London on Friday – organisers promised that a global audience of millions would tune in for the most anticipated match in a generation. I posted the instructions on how to post from a Mac on Blogger blogs such as this in the post "a press briefing to which no one came." The procedure lays bare Google's willingness to ignore our desire for privacy. On the other hand it is somewhat encouraging to see the strength of Apple's Privacy Tools.